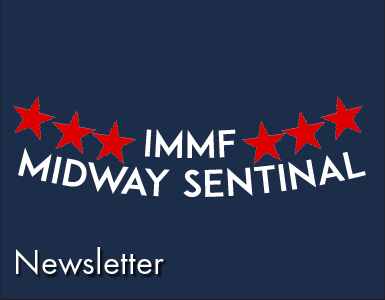 The International Midway Memorial Foundation (IMMF) met with Vice Admiral Robert F. Willard, USN, Vice Chief of Naval Operations in June 2005 to discuss the Midway National Memorial. I presented the status of the Memorial in detail form as well as the IMMF's plans to commemorate the 65th anniversary of the Battle of Midway in Hawaii and on the Midway Atoll in 2007. The information was well received and on August 18, 2005 I received a letter from the Vice Chief that Rear Admiral Paul E. Tobin, USN (Ret. ), new Director of the Naval Historical Center, would serve as the Navy's liason with the Foundation. It was also reported that the new Chief of Naval Operations desires that this site be supported. To read a copy of this letter, click here. 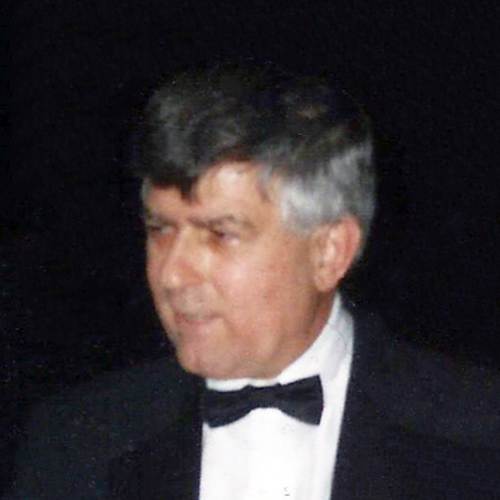 Members of the Foundation, Dr. William S. Dudley, Captain James A. Noone, USNR (Ret. ), Esq. And myself met with Admiral Tobin in September to update him on the course of events surrounding the Midway National Memorial and the upcoming commemoration of the 65th anniversary of the Battle of Midway in Hawaii and Midway Islands in 2007. It was brought to his attention that the Foundation's letter to Secretary Gale A. Norton in Summer of 2005 to request permission to hold a ceremony on Midway Atoll still was unanswered. In fact as of today December 10, 2005 there still has been no response from that quarter. 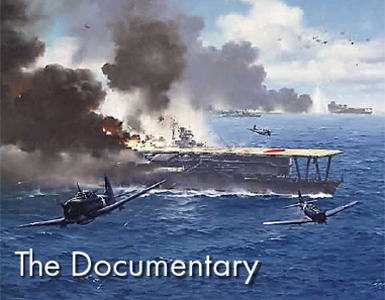 In September 2005, James Noone and myself had two meetings with Vice Admiral William Houser and Rear Admiral Whitey Feightner to discuss real public access to the Midway National Memorial and the commemoration of the 65th anniversary of the Battle of Midway in Hawaii and the Midway Atoll in 2007. A formula was agreed upon and its implementation begun. A few weeks ago, Admirals Houser and Feightner and Captain Noone visited Admiral Tobin at the Naval Historical Center. 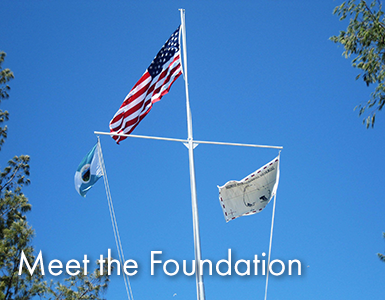 Their mission to update Admiral Tobin and the Navy on the present goals of the Foundation. Admiral Tobin again expressed his desire to attend the commemoration ceremonies in Hawaii and on Midway Atoll in June 2007. He plans to call the DOI again to request an answer to the Foundation's letter sent in May 2005 requesting permission for the IMMF to hold the 2007 commemoration ceremony on Midway. Followup meetings with Admiral Tobin are planned. Plans for the commemoration of the 65th anniversary of the Battle of Midway are under way. The format will be similar to the Foundation's previous ceremonies. There will be an initial cocktail party, followed by a two-day Battle of Midway symposium, a Midway Night Dinner and a ceremony on Midway Atoll. For information regarding travel plans contact: Mr. Robert Folliard at 301-437-6015 or write to him at: 4970 Battery Lane, Bethesda, MD 20814. 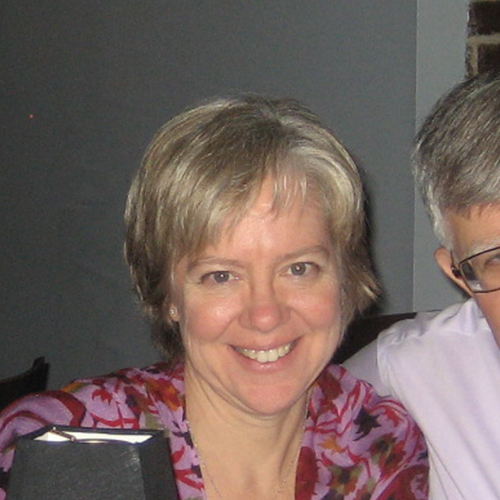 Chris and I will close our restaurant "Penne Trattoria" on June 4, 2006 to an invitation-only Battle of Midway Night Dinner here in Bradenton, Florida. The format for the Dinner will follow the IMMF's previous dinners. Details to follow. Those interested in attending can e-mail the IMMF at immf1942@gmail.com. The restaurant's grand opening will be early in March of 2006. In closing, Chris and I would like to wish you and yours a Merry Christmas and a healthy and prosperous New Year.